Using the Spreads and Integrations ~ How do the Keyword Spreads work? You are here:Home/Using the Spreads and Integrations ~ How do the Keyword Spreads work? Questions & Answers › Category: Spreads › Using the Spreads and Integrations ~ How do the Keyword Spreads work? A keyword spread allows you to create your own ‘themes’ and is similar to a preset spread. 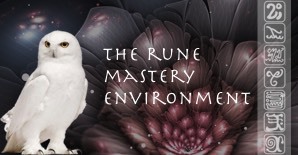 Runes are associated with keywords, and when you make your selection, you are choosing the subset of runes from which your spread will be generated. There must be at least one rune per field in order to be able to complete a spread, and so if a field does not have a rune (based on your keyword selection), you will be asked to add keywords. We are always adding features in new releases, so if there are keywords you’d like added, please send an email to me, anita@autiama.net. A keyword search is displayed on a template or wheel, and you must select the wheel. Presently only one wheel is approved, but we hope to add selections in future. You still have to pick the wheel, even if there is only one option. |Comments Off on Using the Spreads and Integrations ~ How do the Keyword Spreads work?